How do you make readers happy? Give them books. Give them more books. Give them books with characters who like to read. Throw a gift certificate to their favorite bookstore at their face. Gift them a library card. Leave them behind in a bookstore. Lock them in a library. Give them books. Leave them alone while they’re reading the last fifty pages the whole book. 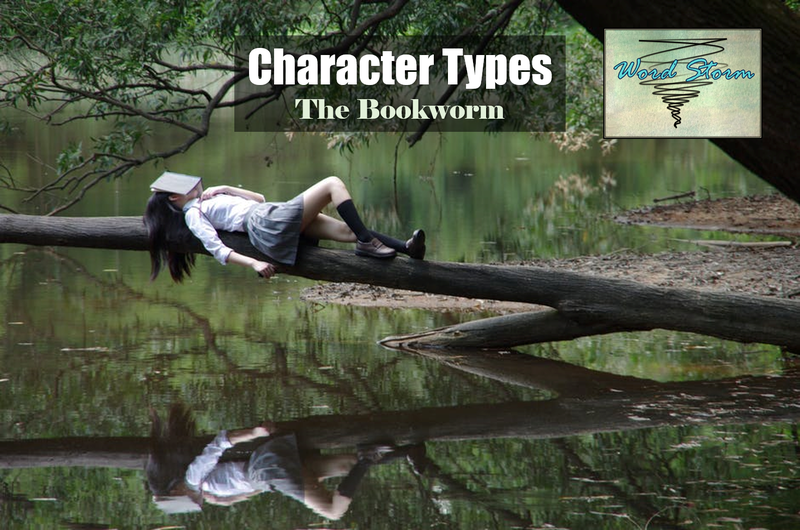 Today, I’m here to write about the bookworm as a fictional character! 1) They tend to be counter-cultural. Before he even discovers the joy of reading (after burning so many books), Guy Montag (Fahrenheit 451) enjoys going for walks in a world that is obsessed with speed and driving. In a world where reading is illegal, once he discovers how eye-opening reading can be, he practically gives up his life for books. If that’s not dedication, I don’t know what is. But let’s face it, bookworms, if your house was on fire, how many of your books would you try to save? Liesel Memminger (The Book Thief) first discovers her love for reading by stealing a book from a grave digger. And she continued to steal books, even saving one from a fire built by the Nazis to destroy books they didn’t agree with. Okay, so you and I might have more ordinary bookworm origins. Perhaps your parents read to you when you were a child, your teacher introduced you to your favorite book, or you checked out a lot of books from the library. Either way, books can be eye-opening, and they teach readers to be more empathetic. Mortimer “Mo” Folchart passed on his bookish appreciation to his daughter, Meggie. But Meggie doesn’t just want to read books. She wants to live in them. And she soon finds she gets more than she bargained for when she starts meeting characters her father once read out of a book. Like Meggie, Anne Shirley (Anne of Green Gables) can often be found with her nose in a book or dream up stories. She even gets into trouble at school for reading Ben Hur during class, and more than once, her wild imagination gets her in trouble, whether its spraining her ankle by falling off a roof or by getting stuck in a sinking boat in the middle of a pond. But it’s still enjoyable to read about someone with such an imagination! 3) They’re easy to relate with. Meggie Folchart carries books with her when she travels. I usually take along at least five books whenever I go anywhere—one to read, a backup in case I finish the first, my journal, a notebook for story ideas, and my Bible. Meggie carries even more, at least twelve. If that’s not admirable, I don’t know what is. On the other hand, Anne often struggles with being stereotyped whether it is for her red hair or her talkative nature. And people misspell her name. Dear Anne, try having my name. I’ve been called Aslan, Ashlyn, and even Ashley. How is that even remotely close to Azelyn? When you have the rare character who points out how often their name is misspelled, such as Anne, it’s easy to relate. 4) They tend to inspire people to live better. Except for Guy Montag. I don’t remember him being a very admirable character. Mo, on the other hand, works as a book binder, treating his books with care and doing his best to look out for his daughter. Likewise, Anne’s imagination may run off with her, but she taught many people in her neighborhood to love and be more accepting of the unusual. And most of all, she taught me to dream. Finally, Liesel looks beyond stereotypes and her culture’s expectations and shows not only a care for books but also for people. Other book-obsessive characters include, but are not limited to, Mr Norrell, Jonathan Strange and Mr Norrell; Marie-Laure, All the Light We Cannot See; Cadence, We Were Liars; Cress, The Lunar Chronicles; Kvothe, The Kingkiller Chronicles; Claus, Series of Unfortunate Events; and Aibileen, The Help. Petition to authors: We need more male bookworms. Seriously, though. Why are most of the bookworms in fiction female? That’s not fair to all the guys in the world who like to read! As a bookworm, I enjoy reading about bookworms. Sometimes, I even find my favorite characters giving me book recommendations. Speaking of bookworms, the print edition of Last of the Memory Keepers is out! Be sure to add it on Goodreads and get your copy on Amazon. Let’s chat! Who are your favorite bookworms in fiction? Did I miss any? Have you ever been left behind or locked in a library or bookstore? What’s your most memorable experience as bookworm?